This beautiful rare Vera falling leaves features leaves of all kinds from maple, oak, ginkgo all in shades of green, but also features leaf and acorns in red as accents. Background color is a light olive green with a dark green wide border. Scarf features a hand rolled hem. The beautiful Vera scarf measures approximately 16" square and still has its original content tag which reads" Scarves by Vera - Patent Pending - Pure Silk Hand rolled ". 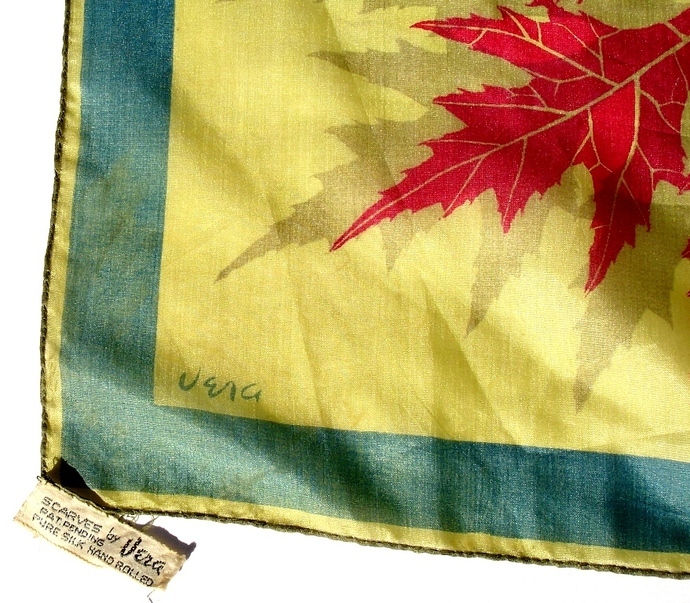 This is one of the original Vera scarves made from surplus parachute silk from World War II. It dates from the late 1940's with its very small Vera in the left hand corner of the scarf. 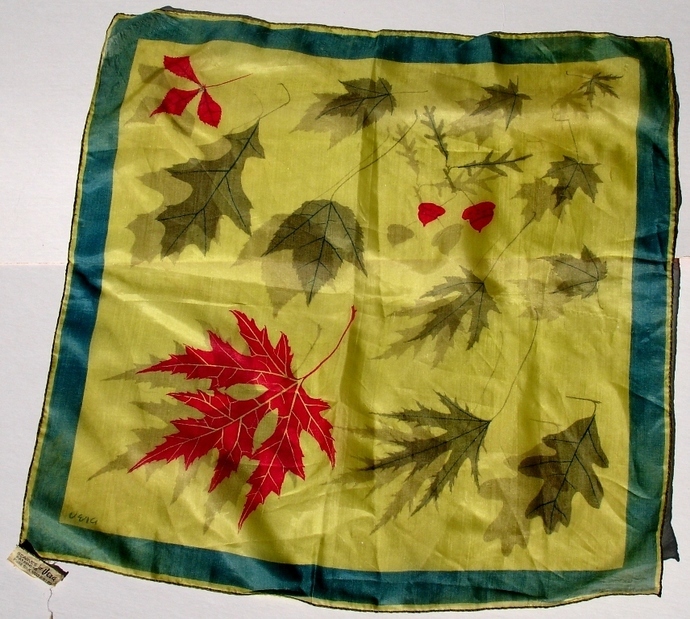 It is a very rare find and is in excellent condition for its age as it only has half a dozen small pin holes however, there are no rips, no tears, and no stains present on this beautiful vintage scarf. This lovely Vera scarf will give you many years of colorful enjoyment and will add a chic splash of vibrant color to your outfit of choice. This is a fabulous "Gift for Her"! When you give a Vera scarf you are not only giving a beautiful scarf you are giving a beautiful wearable piece of art history! This Vera Neumann Falling Leaves In Shades Of Green With Red Leaf And Acorns will ship USPS Priority Mail with Delivery Confirmation and insurance in the United States. 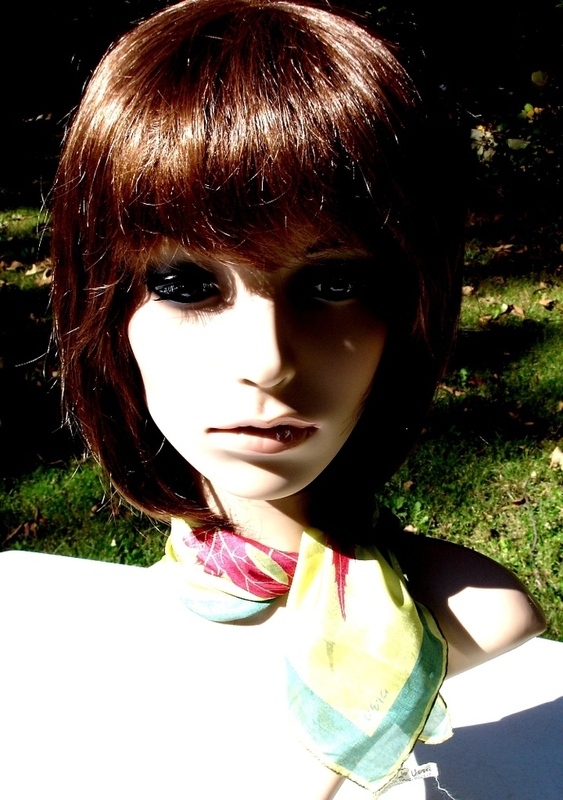 This scarf is a vintage item and as such can be expected to show some signs of normal wear. Thank you.